Odour: Characteristic of the outer part of fresh bergamot peel; fragrant sweet-fruity. 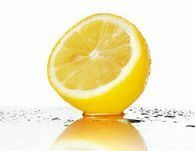 The Utilisation: Bergamot Essence often accounts for basic ingredients for scents as well as for several products in the field of perfumery, pharmacotherapeutics and confectionary. Bergamot oil is also a characteristic additive of Earl Grey tea and tobacco flavourings. Distillate of bergamot, also called "Peratoner",from the chemist's name inventor the extraction process,is obtained through under vacuum steam distillation.Vacuum is obtained through a liquid ring pump and it is regulated to obtain a distillation temperature ranging between 35-45°C. It is a product of distillation of the residue of fruits of bergamot (after having been treated with equipment) and water.Distilled oil is colorless, has a lower specific gravity respect to cold pressed oil,has lower aldheydes content and extremely low fixed residue. Botanical Source: Citrus Limon, L. Burm. Odour: Characteristic of the outer part of fresch lemon peel. The Season of Production: The production of fruit is almost uninterrupted. It is in October that takes place the first picking of fruit, the second one occurs in March (bianchetti are collected) and the third one in June (verdelli are picked). 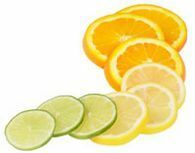 The Utilisation: Lemon Essential Oil is utilised in the field of pharmaceutics, cosmetics, therapeutics, confectionary, it is also an additive of liqueurs. Odor: Characteristic of the outer part of fresch mandarin peel, pleasant orangelike. The Season of Production: The picking of fruit occurs in the period between September and March. There are as many as three types of essential mandarin oil: “green”, “yellow” and “red” one. If the oil is received by the use of fruit peeling equipment(machines called “Pelatrici”) the colour of the essence depends entirely on the level of ripeness of fruits as they tend to be green in September and October, yellow in November and December and finally red in January. Instead, if the oil is received during the process of centrifugal pressing of fruits, the oil tends to be yellow, even when fruit are green. The Utilization: Mandarin Essential Oil is an additive of liqueurs. It is also used in confectionary and is one of basic aromatic ingredients of many pharmaceutical products. Odour: Characteristic of the outer part of fresch, sweet orange peel. The Season of Production: The picking of fruit occurs in three stages: in November, in December-January and the last one in March-April. The Utilization: It is used as a flavoring of food and drink and for its fragrance in perfume and aromatherapy. Sweet orange oil consists of about 90% d-Limonene, a solvent used in various household chemicals, such as to condition wooden furniture, and along with other citrus oils in grease removal and as a hand-cleansing agent. It is an efficient cleaning agent which is environmentally friendly, and much less toxic than petroleum distillates. It also smells much more pleasant than other cleaning agents.